Ford is a serious automaker that is finally becoming very serious about the production of hybrid cars. So it has also designed the C-Max metal machine for the transportation of people from the European lineup. 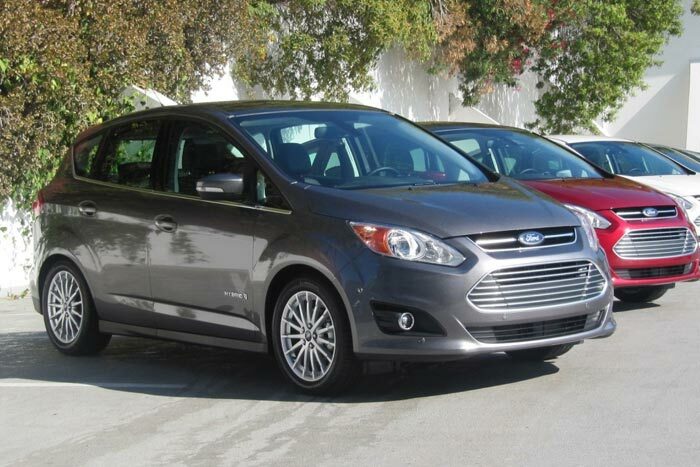 However, the 2013 Ford C-Max hybrid is an interesting and efficient alternative of compact crossovers and wagons. That carries a stellar fuel economy with improved driving dynamics. This is an all-new model offered by Ford to the segment of hybrid cars to set some new standards. The 2013 Ford C-Max Hybrid is a five-door hatchback wagon with 5 seats. And is offered in two trims, SE and SEL. The car is offered in 8 stunning exterior colors and 17-inch alloy wheels. Moreover, a distinctive shape looking like a multi-purpose vehicle, stylish headlights and a decent rear end. 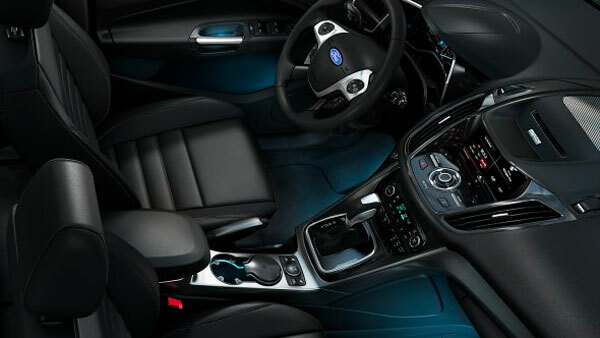 However, Ford is also one of those automakers that are known as leaders in the interior design and quality materials. Standard interior features are full power accessories, cruise control, and height adjustable driver seat. Above all, it also includes Sync voice-activated electronics interface and dual-zone automatic climate control. Furthermore, a leather-wrapped tilt and telescoping steering wheel, six-speaker audio system with a CD player, iPod/USB audio interface and auxiliary audio jack. Additional to all the above features, the SEL gets power liftgate and Navigation system. Furthermore, other features are fog lamps, automatic wipers, heated front seats, auto dimming mirror, and leather upholstery. A panoramic sunroof and remote ignition are optional for both the trims. Its safety features include Front side airbags, driver knee bags, and full-length side curtain airbags. Furthermore, antilock disc brakes, 911 assist, traction control and stability control are standard safety features. The 2013 Ford C-Max Hybrid gets a 2.0-liter four-cylinder engine. Under the hood that delivers 141 horsepower and 141 lb-ft of torque. The engine is also paired with an electric motor and lithium-ion battery pack. 188 horsepower is an estimated combined power generation of the system. However, a CVT (continuous variable transmission) sent power to the front wheel. The acceleration from 0-60 mph is 8.1 seconds which is about 2 seconds faster than other hybrids. The fuel economy is 47 mpg city and 47 mpg highway. That is 5 mpg’s better than the Toyota Prius V.
The 2013 Ford C-Max Hybrid SE is priced at $25,200 and the SEL is $28,365. That multiply when you opt for optional stand-alone features and packages. The car is available for sale now. 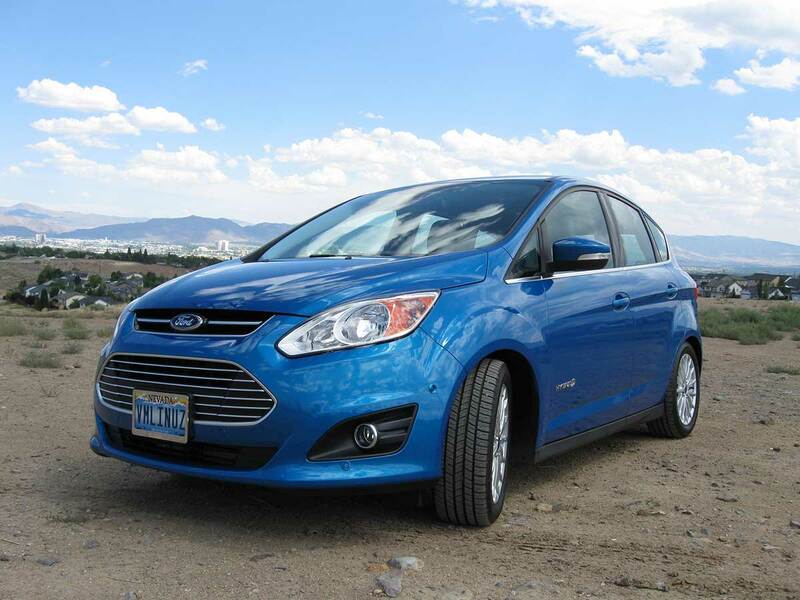 The 2013 all-new Ford C-Max Hybrid has to compete against some popular names. It includes Toyota Prius V, Honda Insight, Nissan Leaf, Lexus CT200h, Chevrolet Volt, Honda CR-V and Volkswagen Jetta TDI.